Serendipity Gifts is a gift shop on Main Street in Historic St. Charles, MO. We carry brands like Simply Southern T-shirts and Charles River rain jackets. We specialize in personalized gifts for all occasions. 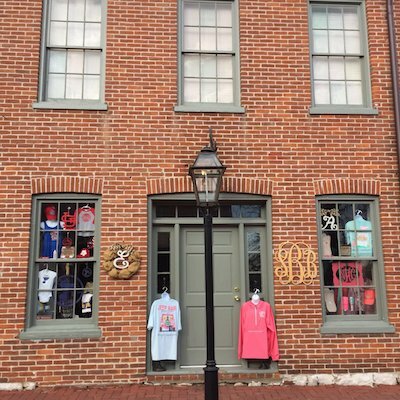 Just a few of the items you will find in our boutique is monogrammed jewelry, apparel, bath bombs, children's gifts and dog accessories. Visit us today for a unique find!